Homenetmen Pasadena “Azadamard” scouting has a been around for over 35 years. 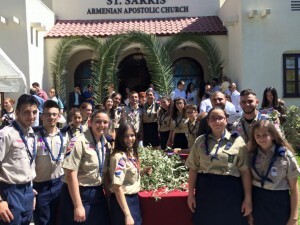 Our Scout groups meet weekly on Sunday’s from 10:00am-1:00pm at the Pasadena Armenian Center on Foothill Blvd. Our groups attend summer, winter and educational camps throughout the year. They also go hiking, snowing, horseback riding and other similar activities.